Welcome home to Redondo Beach, where life is a beach! 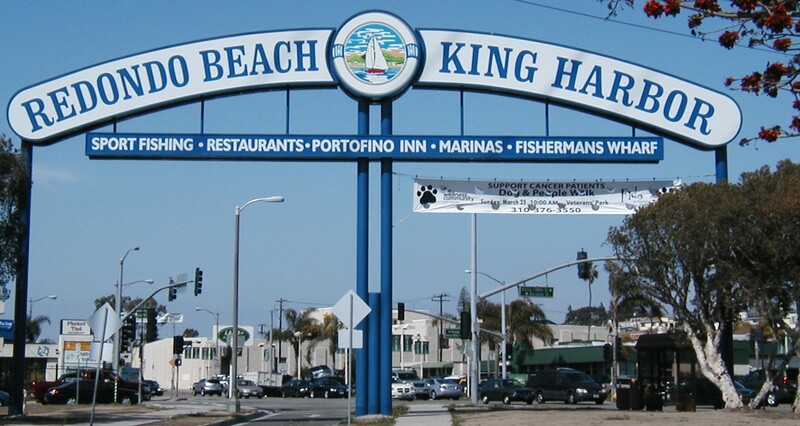 Many people will recognize the King Harbor sign welcoming you to Redondo Beach, California. Gracing the entrance to the 1,500-slip private craft port, it is hard to miss and has become a local landmark in one of the most desirable cities to live in and preferred vacation destination. Redondo Beach boasts it’s own police, fire, and public works departments, as well as two public libraries and an award-winning school district, including the Redondo Union High School Seahawks. The median home price sits around $1.1 million in Redondo Beach, which is a testament to the clean and safe neighborhoods, and of course the prime location near the sand and water. The Redondo Beach Pier is a South Bay landmark where you can enjoy the beautiful sunsets at the always-popular restaurant Old Tony’s. The Pier offers shopping and entertainment, including the Redondo Beach summer concert series where families and friends can listen to free live music on the waterfront. Surfing, sailing, whale watching, stand up paddle boarding (SUP), and the Seaside Lagoon are also favorite activities for locals and vacationers alike. The Millman Team specializes in Redondo Beach and the South Bay, if you or your friends and family have questions about buying or selling, please give us a call at (310) 375-1069 or email us info@millmanteam.com. It would be our pleasure and honor to tell you more about this wonderful community and help you realize your real estate goals in Redondo Beach!